[toc]Anemia is a state of health when an individual possess smaller or fewer RBCs than he/she should normally have. Iron is the key component of hemoglobin that is the crucial part of blood that carries oxygen from lungs to rest of the body. Toddlers are most susceptible to anemia as they tend to lack iron in their diet in their early years of lives. According to centre of Diseases and control around 7 percent of 1 to 3 years old are shown to be anemic. The typical signs of anemia include pale skin, irritability, fast heartbeat, brittle nails, and swollen or sore tongue. 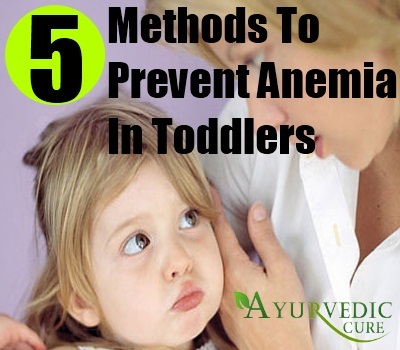 But, at times toddler may not show any symptoms while suffering from anemia. Anemia should not last for long as it can lead to motor, mental or behavior problems. These problems cannot be recovered, even if anemia condition has been improved. Earlier it used to be believed that breastfeed lacks iron content but, on the contrary breastfed babies show higher hemoglobin content than those who have been fed on iron fortified formulas. Breastfed babies have iron stores sufficient for 9 months or more, by the time toddler becomes used to consuming iron as part of regular diet, post weaning. Thus, human milk plays an important role in toddler’s diet, even after introduction of solids have begun. 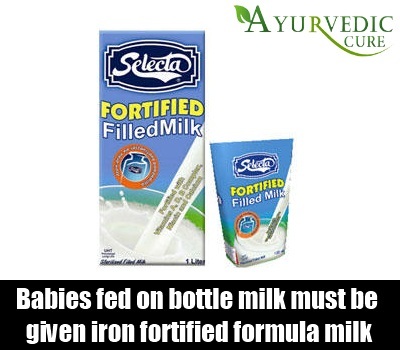 Infants below the age of one should not be offered cow’s milk as that is the most prominent cause of iron deficiency in them. 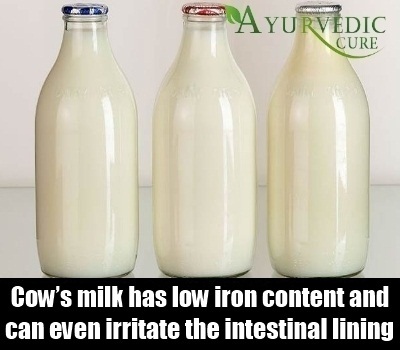 Cow’s milk has low iron content and can even irritate the intestinal lining, causing bleeding that result in iron loss. This bleeding may be in little amounts only, but if continue for prolonged period can result in tremendous blood loss. Therefore, combination of poor iron consumption and increase loss of iron puts toddler at risk for iron deficient anemia. 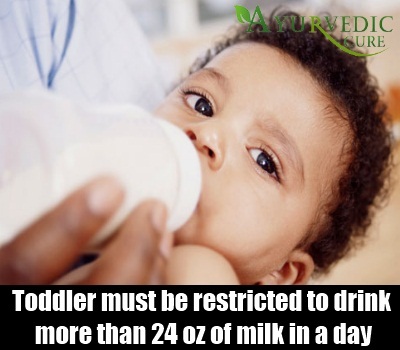 Toddlers should not be majorly dependent on milk as the sole diet and children must be restricted to drink more than 24 oz of milk (3 cups) in a day. Though, milk provides essential nutrients for healthy growth, it is low in iron content and interferes with iron absorption, when consumed in large quantities. Toddlers drinking too much of milk tends to replace consumption of iron rich foods and get deficient in iron that gradually leads to anemia. 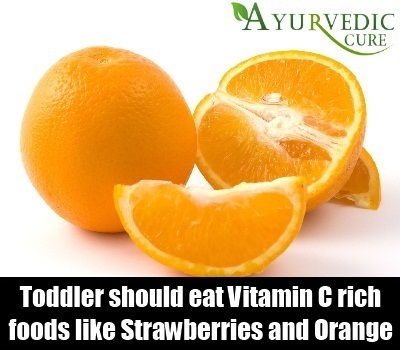 In toddler years, beyond one year of age incorporate foods rich in vitamin C as it helps in proper absorption of iron in the body. Encourage toddler to eat more of fresh fruits like strawberries, oranges, cantaloupe and avocados, and dark green leafy vegetables as part of the regular diet. Alternatively, offer fruit juices and lemonades to provide adequate amounts of vitamin C.
Babies fed on bottle milk must be given iron fortified formula milk to prevent deficiency of iron and build up of anemia over time. Iron fortified formulas should be continued for complete one year, till toddler starts to eat adequate iron through dietary sources. During toddler’s years, a child is at high risk of anemia owing to increasing demands of the growing years. Those who lack iron in their diet, are allergic to cow milk and have low iron absorption, should consume iron fortified foods to build up adequate iron levels in their body.